Our light and breezy asymmetrical style that's all kinds of gypsy fun! A fantastic V neckline in both the front AND back is unique itself, but the hemline is the star here: one sweeping long diagonal and an opposite one in back! 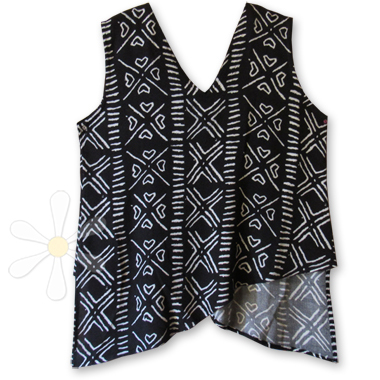 In-stock now in our fabulous mudcloth print!